This entry was posted on October 31, 2010 at 11:40 am and is filed under Uncategorized. You can follow any responses to this entry through the RSS 2.0 feed. You can leave a response, or trackback from your own site. Gardenias are among my favourite flowers – how lovely that you have them in your garden. Happy Sunday, Amanda! looks, smells, and sounds delicious, my friend! have a great Sunday! They are so wonderfully aromatic–I love gardenias. This poem reminded me of when I worked in an office and my boss had a gardenia bush growing in his yard–he would bring me gardenias for my desk when they were in bloom. Wasn’t that nice. Ah your words, image and music please all the senses…it shall be a wonderful weekend….have peace weekend my friend. Hope you are as serene as the fabulous magnolia. Aw, my beautiful friend, that is lovely. Beautiful photograph, and lovely words. They always remind me of my mother and I’ve never thought about it before but I bet they’d do fine in our climate. I may have to go to the nursery. see you at potluck tonight. love the flower and the sentiments behind. Omar’s music is so holy and serene…That music goes straight to my soul. I used to listen this song…and now that feeling comes back with me again… Really wanna live more and more to capture the beauty of love, the beauty of life! What a beautiful piece of music! Thanks for sharing this, Amanda! 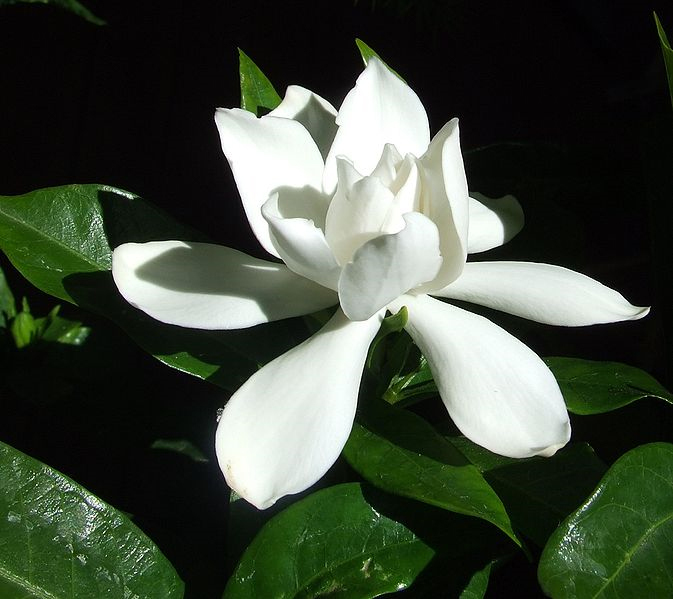 White gardenias are one of the most beautiful flowers and their fragrancel- incomparable. Beautiful flower and words. I love gardenias..I think I will have to try and see if I can grown one indoors here. This is enchanting as is the new direction you appear to be moving in.